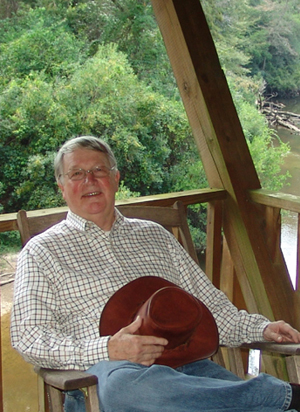 ﻿JOHN CASE﻿ | Contributing Writer - "The Storyteller"
John grew up in south Mississippi in the 1950’s and 60’s. He was raised in a rural community with very few nearby neighbors. Even though his home had indoor plumbing, the family did not have a television. Guests were especially welcomed (if, for no other reason, to break the monotony). Hitchhikers knew of the Case home as a place to spend the night and get a good meal. Those who dropped by were blessed by the shelter and food, but John was blessed by the stories they told. He listened carefully. From a young age he knew he would retell them. He does just that, in Slidell Magazine’s most popular and widely-read segment, The Storyteller. John is a graduate of the University of Mississippi with a major in English (but he readily admits, he never learned to punctuate). He married the beautiful Brenda Lowry, and they have two sons, Chris and Alan. His full-time job is the co-owner of Lowry-Dunham, Case and Vivien Insurance (the oldest insurance company in Slidell, established in 1901). In addition to his writing for Slidell Magazine, he has been published by several insurance industry magazines, local and Mississippi newspapers, Hometown Brookhaven Magazine, and his book of short stories,​ Bogue Chitto Flats. John is a daily inspiration and advisor for Editor Kendra Maness. He is a modern-day William Faulkner and we are humbled and grateful to share his talent with Slidell!